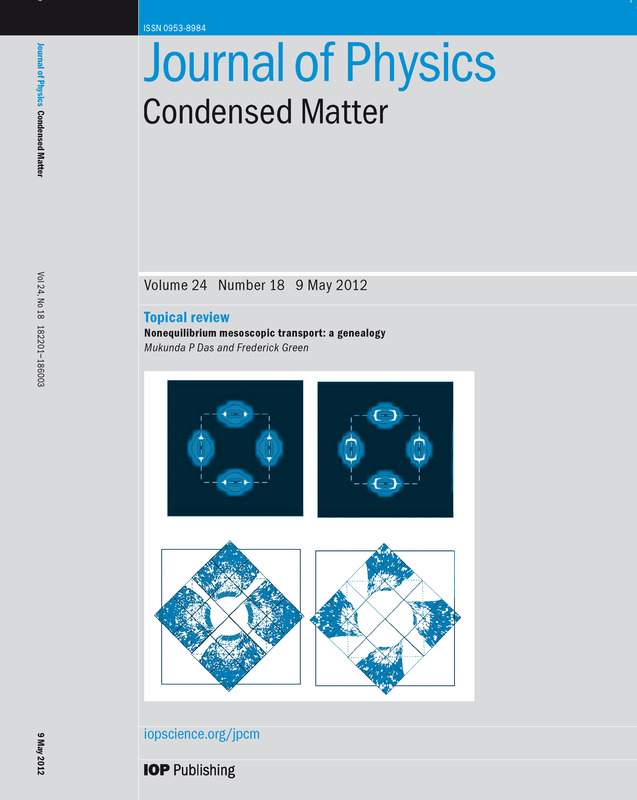 This is theoretical condensed matter physics and materials science research group. For collaboration and postdoc position, please contact us. 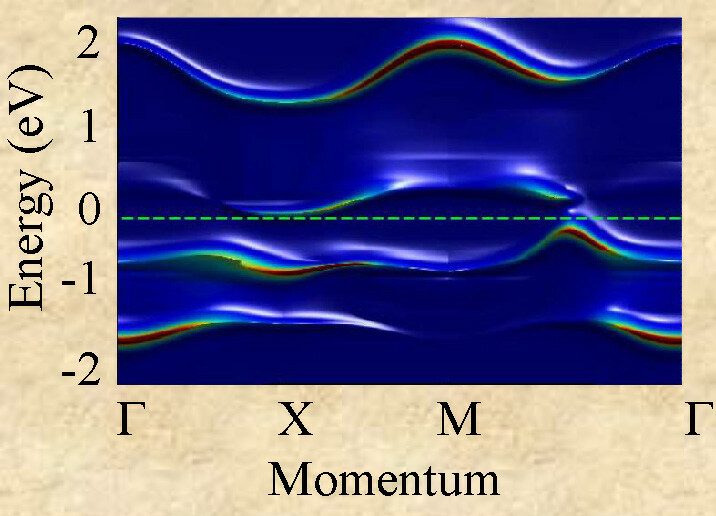 Spin-orbit density wave is a new quantum phase of matter that was predicted in 2012 by us (see). In a collaboration between U. of Hannovar, Indian Institute of Science, Paul Scherrer Institute, this state of matter has been observed for the first time. Nature Communications (published in 2015). Over the last 7 to 8 years, we have introduced the concept and a realistic computation scheme for the intermediate coupling Model, where the strength of the interaction and the bandwidth of a system are of comparable value. 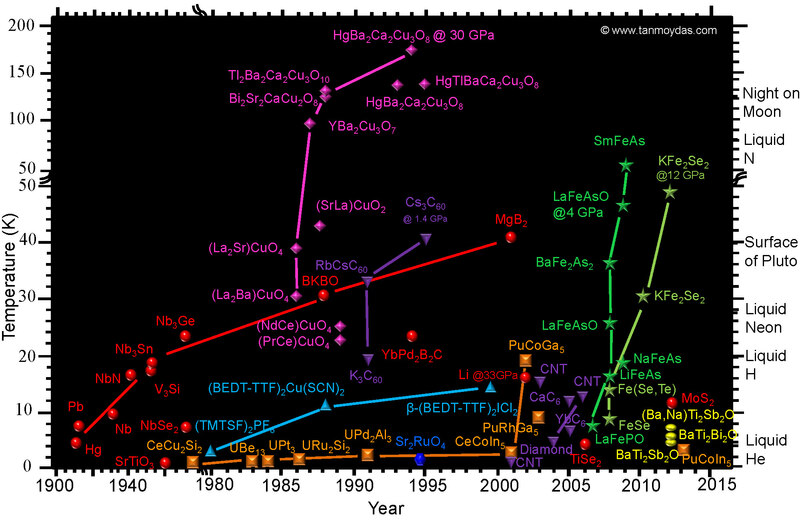 The strength of the method is that it captures the full momentum resolved density fluctuations (MRDF) of the system, and thus the name of the method is MRDF. Reviews: Das, Markiewicz, BansilAdvances in Physics 63, 115 (2014). Presently, the design of three-dimensional topological insulators is limited to single-compound synthesis with appropriate symmetries. Das propose a new design principle for 3D topological insulators based on stacked 2D Fermi gases, which may allow for a better control of topological properties. Das, Balatsky Nature Communications 4, 1972 (2013). Das has proposed a new concept of spin-orbit density wave as a broken symmetry phase in condensed matter system. 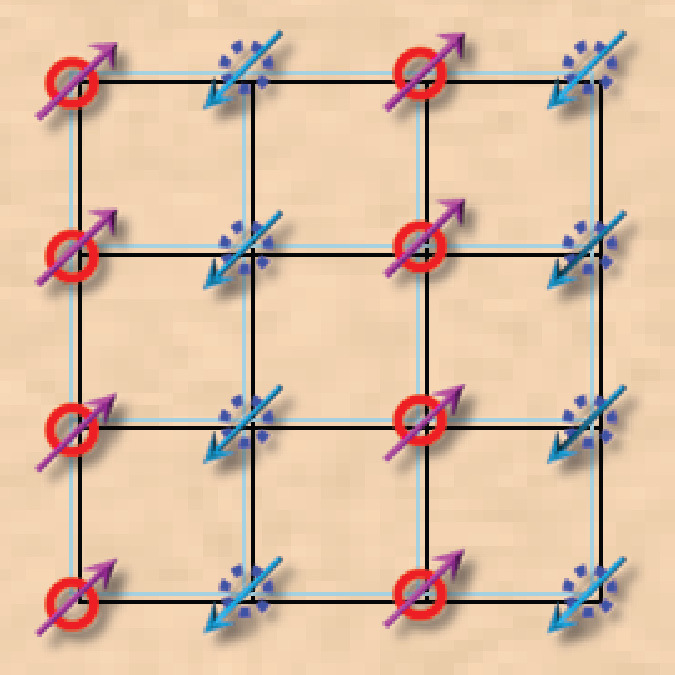 Such order is shown to be responsible for the 'hidden order' phase in URu2Si2. The concept is extended to the 2D electron gas, surface state, heterostructures where Rashba-type spin-orbit coupling leads to similar spin-orbit density wave. Das, Scientific Reports 2, 596 (2012). Das, Physical Review Letters 109, 246406 (2012). Mini review: Philosophical Magazine (2014). Tanmoy Das received in 2017 Infosys Young Investigator Award. Sujay Ray received the (first) best poster award at the International Meeting on Highly Correlated Systems in Kerala, India in 2017 for his work on "Coexistence of Non足 Fermi liquid and Fermi liquid self足-energies in the momentum space in cuprates." . Gaurav Kumar Gupta received the (third) best poster award at the International Meeting on Highly Correlated Systems in Kerala, India in 2017 for his work on "Peculiar Magnetic and topological properties of TlCuCl3" . 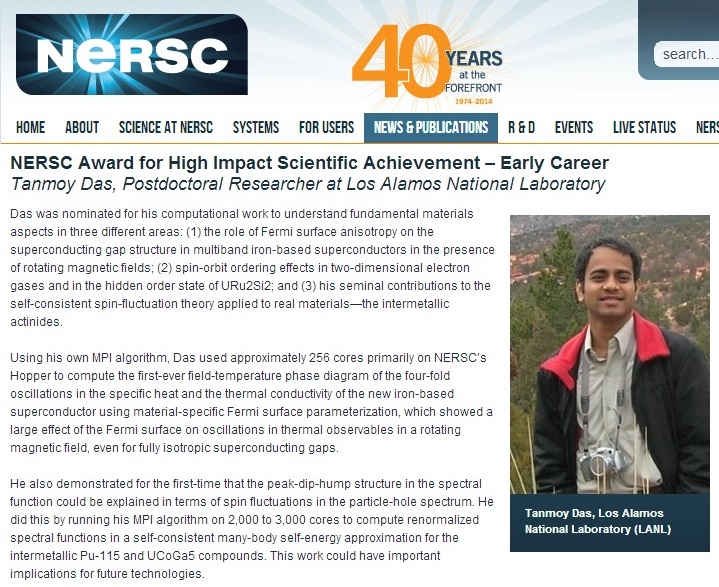 Tanmoy Das received in 2012 Postdoc Distinguished Performance Award (PDPA) at Los Alamos National Laboratory. News. Tanmoy Das received best poster award in MRS Spring meeting 2012 on 'Spin-orbit Coupling Induced Hidden Order State in URu2Si2'.